Global climate and the effects of global warming are commanding unprecendented interest as climates grow more dynamic and changeable. How does global warming change patterns of climate? Why is the weather and climate of the British Isles so variable? Regional Climates of the British Isles presents a comprehensive and up-to-date survey of the diverse climate of the British Isles. 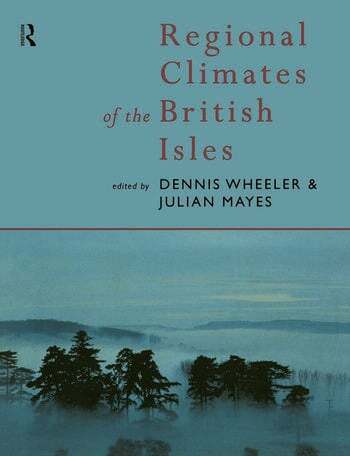 Examining the ways in which regional climates evolve from the interplay of meteorological conditions and geography of the British Isles, leading climatologists provide detailed explanations of the climatic characteristics of eleven regions of the British Isles. Climatic distinctiveness and local weather contrasts are described for each region, together with a summary of climatic data from 1961 to the present. Reviewing the history and causes of climatic change and evaluating regional models, Regional Climates of the British Isles offers an important analysis of climatic variations. Examining future climatic change and its likely consequences, the authors acknowledge the need for regionally diverse responses to the greenhouse effect.